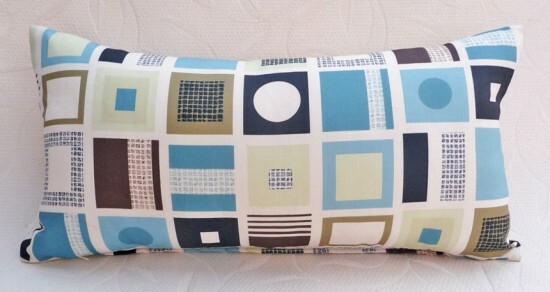 Perk up a kitchen bench or a bed with a modern long blue throw pillow. Wouldn’t it be great to win this throw pillow or even 2? Or pick a different one from over 130 different handmade pillows from Pillowthrowdecor? Value up to $40! Double pillow giveaway this week! Entries received up until midnight Friday August 28th Saturday will be entered into this week’s draw Pillow Giveaway 10. All Pillow Giveaway entries 1 through 10 (from the past 10 weeks) will be entered into Summer’s Over draw up until Friday night also. Winner can choose any throw pillow up to $40 value. Winners announced Sunday. Be subscribed as a follower or reader. Visit my archives, click on the button and select a blog posting that you thought was interesting, helpful or funny. Copy the link or leave the title here. You may enter here up to three times with three different pillow selections or blog postings. I have 89+ more new pillows to be added to my store’s Fall line after next weekend… and I am not finished yet either!!! There may be a few MORE new handmade throw pillows in the store this week but I will be mainly working on photographing the new selections. I like the Long Blue Throw Pillow for Bed or Sofa. Looks kinda nautical to me. I liked Pillow Fairies Missing – Have you seen them? Check back…A new series of pillow giveaways is soon to start.